He is not a sad robot. He is a Happy Robot! He is not a bad robot. 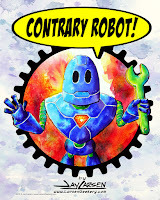 He is a Good Robot! He would never break the rules Mr. Asimov set fourth (minus one). 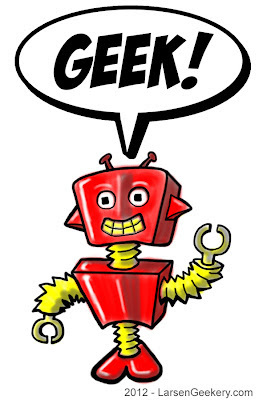 What do you think of a robot who speaks Geek?